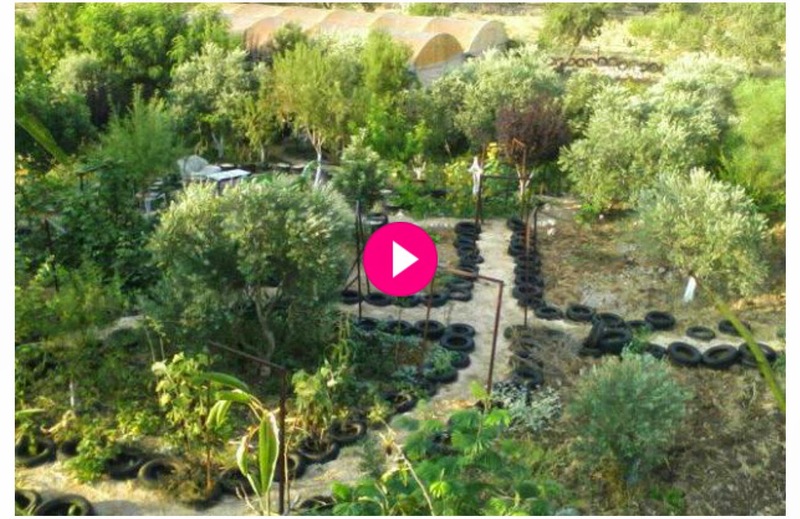 The Marda Permaculture Farm is a working farm and demonstration site for permaculture principles, techniques and strategies in Palestine. Based in the picturesque ancient village of Marda, the project promotes food sovereignty, health, self-reliance and empowerment. This is accomplished through modeling water harvesting, recycling, energy conservation and home-scale garden production with readily available and locally-appropriate materials. Farm Founder and Director Murad AlKhufash has long dreamed of a Teaching Building using natural materials and techniques such as earth bag construction, cobb, adobe, and local building technologies. The building, which would maximize space at two stories would provide a much needed office, indoor space for workshops, and lodging for interns and volunteers. We are ready to begin this process, with your help! $4000 will support Murad in launching the project by working with students at nearby Birzeit University to complete renderings for the building, begin the permitting process, and initiate a Natural Building Workshop April 2015 to jumpstart the project! This Teaching Building will integrate passive and active solar power, rainwater catchment and graywater recycling, thus enabling the farm to go “off grid” and so reduce dependence on Israeli-controlled and high cost energy and water supplies. Over the past eight years the farm has become a destination for international visitors as well local farmers and backyard gardeners. The farm has thrived despite continual challenges posed by the occupation ranging from destructive hogs unleashed by settlers that destroyed crops and fences, high costs of materials, food, and water. Murad and his neighbors have endured ongoing curfews, harassment by the Israeli military, difficulty leaving and returning. Thanks to Murad's dedication and strong partners the Farm has survived, on a shoestring. We are grateful for you contribution and our farm has bounties to offer to send a warm thank you for believing in our cause. Olive oil, organic soap and honey from Palestine as well as fantastic donations from our international allies Starhawk, Albert Bates, and Brad Lancaster are our small thank you for your generous support, with an open invitation to visit us in the Marda Permaculture Farm and Palestine anytime. Please specify “Marda Teaching Building ” in comments sections when submitting the donation. Please share widely with friends and colleagues who are passionate about the environment, farming, sustainable agriculture and Palestine. Just spreading the word about the work we do will be very much appreciated. Our next Permaculture Design Course with instructors Klaudia Van Gool and Leslie Buerk will take place from March 25 to April 10, 2015. April Natural Building Course to be announced soon! views are fastirious in support of new viewers.